Financial pressures – whether you’re in business or not – can come at all of us from any number of sources. It could be the Taxman, it could be your suppliers, it could be an unproductive member of staff, or simply that you can’t find your way through the financial haze and you’re in need of some guidance. The solution is Finton Doyle’s Wealth Protection Strategies. These are a unique blend of services offered to our business and individual clients with one simple aim in mind: keeping your wealth under your control. We will sit down with you and design a package that will meet your individual requirements. And it doesn’t just stop at accountancy and tax services either. We can draw on the expertise of a wide variety of business professionals, all hand selected and personally vetted by us, and together we will form a team that’s dedicated to meeting your needs. Subscribe to our monthly newsletter. No Spam. We are in Cornwall, they are in Preston. Their communication is spot on. 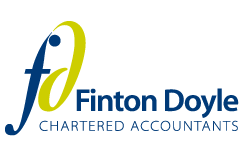 Finton Doyle have been working on my accounts for the last 12 months, we moved from our previous accountancy firm because we couldn’t get the advice we needed when we needed it. Finton Doyle respond quickly with the right advice so that we can respond to the market. Very pleased with their service, highly recommended. Mathew has been our accountant for many years, firstly with Howard & Co and now with his own company, Finton Doyle. He is thorough, very knowledgeable and efficient. Our approach to accountancy is unique.